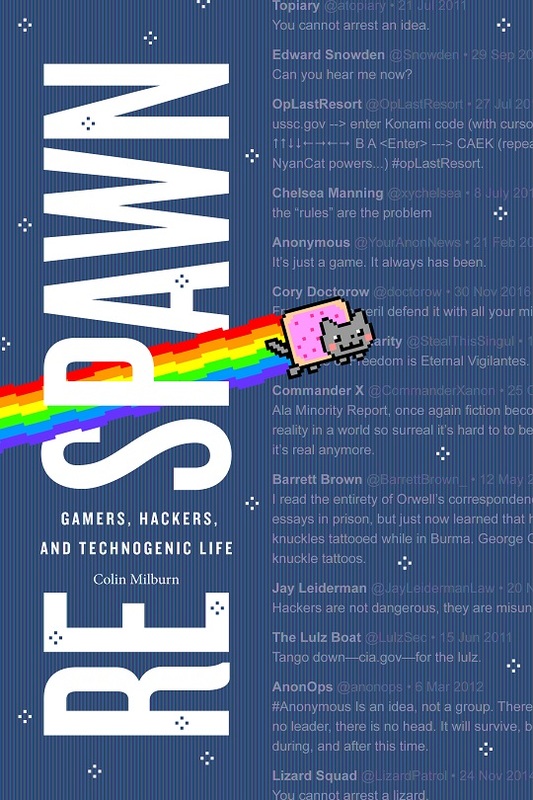 In Respawn: Gamers, Hackers, and Technogenic Life, Milburn examines the connections between video games, hacking, and science fiction that galvanize technological activism. Discussing a wide range of games, from Portal and Final Fantasy VII to Super Mario Sunshine and Shadow of the Colossus, Milburn illustrates how they impact the lives of gamers and non-gamers alike. They also serve as resources for critique, resistance, and insurgency, offering a space for players and hacktivist groups such as Anonymous to challenge obstinate systems and experiment with alternative futures. Providing an essential walkthrough guide to our digital culture and its high-tech controversies, Milburn shows how games and playable media spawn new modes of engagement in a computerized world. Focusing on examples from the early history of computer hacking as well as more recent episodes of hacktivism, this colloquium will show how science fiction has played a powerful role in shaping the technical imaginary and aspirations for a different future.